You can insert the content of one PHP file into another PHP file before the server executes it, with the include () function. The function can be used to create functions, headers, footers or element that will be reused on multiple pages. This will help developers to make it easy to change the layout of complete website with minimal effort. If there is any change required then instead of changing thousands of files just change included file. The require statement is also used to include a file into the PHP code. Require_once() using this function we can access the data of another page once when you may need to include the called file more than once, It works the same way. The only difference between require and require_once is that If it is found that the file has already been included, calling script is going to ignore further inclusions. 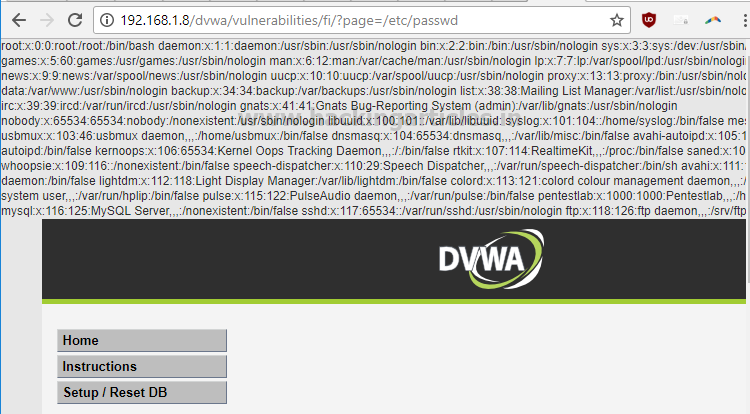 It is an attack that allows an attacker to include a file on the web server through a php script. This vulnerability arises when a web application lets the client to submit input into files or upload files to the server. This vulnerability occurs, for example, when a page receives, as inputs the path to the file that has to be included and this input is not properly sanitized, allowing directory traversal characters (such as dot-dot-slash) to be injected. Remote File Inclusion occurs when the URI of a file located on a different server is passed to as a parameter to the PHP function “include”, “include_once” , “require” , or “require_once” . PHP incorporates the content into the pages. If the content happens to be PHP source code, PHP executes the file. 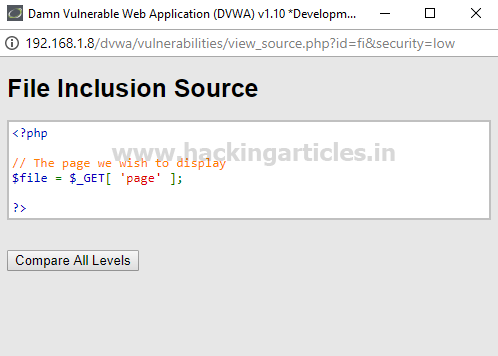 PHP Remote File inclusion allows and attacker to embed his/her own PHP code inside a vulnerable PHP script , which may lead to disastrous results such as allowing the attacker to execute remote commands on the web server, deface parts of the web or even steal confidential information. · Use a vetted library or framework that does not allow this weakness.